Empower our community to reach its full potential through the exchange and cultivation of knowledge and ideas. See the address and hours of operation for each of our libraries. Learn how to contact the library via phone, chat, and email, and find contact information for individual library employees. Learn the mission of Library Services and see our Proclamation of Values. Read the principles and goals that have been adopted by Library Services. Learn the guidelines and procedures for our libraries and labs. Find information about our computer labs. Find definitions for common library terms. 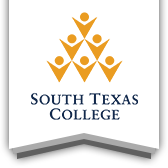 South Texas College Library Annual Report. See the answers to our most frequently asked questions.